In the mid-90’s I hadn’t discovered the breadth of the internet. I didn’t have cable and was sort of in a bubble. 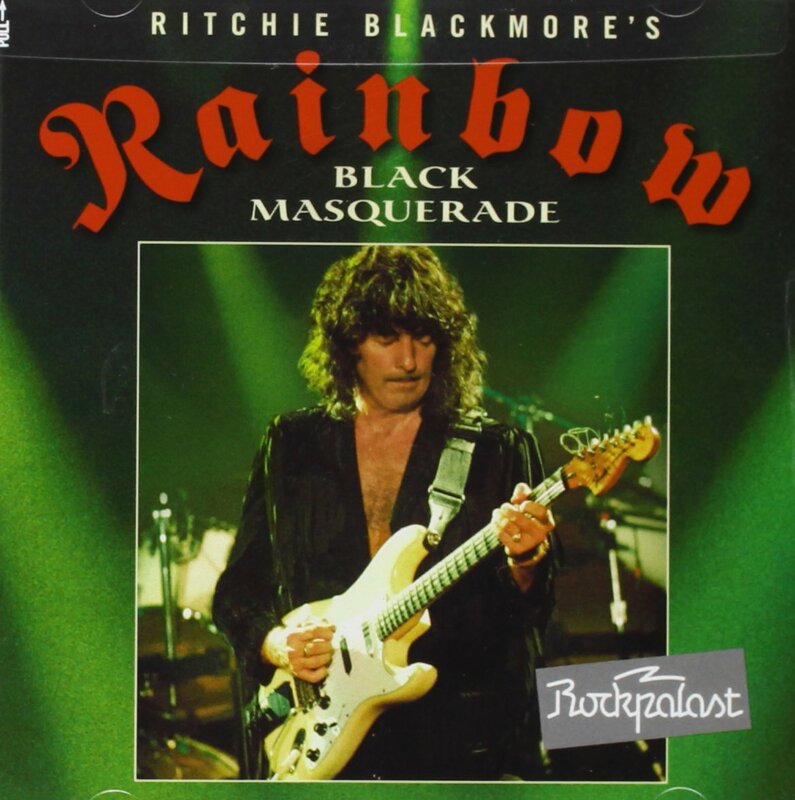 I had purchased The Battle Rages On and enjoyed it tremendously but didn’t know Ritchie would soon leave Deep Purple and come up with another incarnation of Rainbow which would only produce one album. Thankfully, one of the concerts of the tour was recorded by Rockpalast and now has been released. The album they were supporting, The Stranger in Us All, was a bit of a throwback thematically to the days of Dio. It was considerably darker than the Joe Lynn Turner era. The concert reflects that theme pulling largely from the album, the Dio era and some Deep Purple classics. The concert opens with Spotlight Kid, a song that is probably about Ian Gillan and an appropriate way to begin since he was the reason Blackmore left Purple one last time. This was the most acrimonious and bridges have not been rebuilt as in the past (they were still on friendly terms in the late 70’s with Blackmore even asking him to front Rainbow after Dio left). This song shows that Blackmore is in top form and Doogie White is more than capable as a singer. The mix is a bit off, and you can not hear the keyboards very well. Of course we are here for Blackmore, not Paul Morris. I thought I wrote something about this subject a few years ago. Apparently that post is like many conversations CavWife and I have had: we thought about it but never actually did it. If I could turn back time, I would write that blog post advocating the use of civil unions as opposed to the push for gay marriage. I think our national leaders really let their constituents down. Civil unions would grant people the rights often connected with marriage without trying to redefine marriage and engaging in the mother of all culture wars which has polarized America (and other nations) and taken one group out of the closet and is putting another group in the closet. By pushing for marriage (I understand activists pushing for this since they often had additional agendas) our national leaders pushed an entire population into a corner. Are you surprised people have their hackles up? Something they consider sacred (regardless of how we actually act in marriage) was up for a radical make over. It pushed businesses into a corner. Maybe I’m crazy but fewer Christian bakers, photographers and DJs would have a problem working a civil union than a marriage. Even if they don’t, as we see from the arguments against the photographers in New Mexico they advertised they do weddings. If you don’t advertise civil unions as one service you provide you won’t get sued. But this push for marriage over civil unions put these businesses into a dilemma that resulted in lawsuits. Litigiousness increased (of course many of our elected officials are lawyers). I want to weep at times because so much of this was avoidable. This pain. This conflict. This polarization. This victimization. All of this was largely avoidable and homosexual partners would have gotten the rights most of them say they wanted- to be recognized legally for medical and death benefits. Our leaders either grossly miscalculated this thing or they purposely sought to maximize damage to particular populations. Out of charity I’ll assume they grossly miscalculated and future generations will suffer for that miscalculation. Tom Petty sang, “the waiting is the hardest part.” He was talking about long distance love, but I’ve found it to be true of all kinds of things in my life: waiting to be married, looking for a new pastoral call, adopting internationally. It is also true when renovating and expanding church facilities. We now have a quote for a modular from the new company. We are not ready for our congregational meeting though. We still need the estimate on the renovation as well as the trenching to bring utilities to the modular. Very frustrating, but the architect has spend plenty of time making sure he didn’t set us up for failure. More on this later. If/when we approve this we will wait 10-12 weeks for the modular to be constructed. We are now into April and August is looking too close for comfort as a deadline. Expect the Unexpected. In preparing for renovation you will discover problems that you didn’t realize existed. We have found some problems with our sewer pipe. We will need a bigger pipe to service the bigger bathrooms in our current facility and the new bathrooms in the additional modular. We discovered that our A/C units really aren’t big enough for the facility as it is. Forget the addition of the narthex. We may not be able to upgrade them in light of the cost involved due to our size. But this is something we’ll probably have to do in the future. Expect Things to Break. A few weeks ago we smelled an odd smell in the hallway. Our water fountain, or bubbler if you grew up in New England, was shorting out. We were considering a move around the corner. Now we will need to repair or replace it first. You can still get water, it just won’t be cold. Expect Unexpected Distractions. A number of key people in our process have had emergencies that occupied their time, energy and money. The chairman of our diaconate experienced a pipe break in his home. They had the tubing that was used about 20 years ago. The upstairs bathroom had the break in the middle of the night, so that bathroom experienced damage, as did the walls downstairs. The insurance company, seeing more of these tube problems in the future, paid to have the whole home re-plumbed. The whole process took weeks when you add in talking to contractors to get estimates, and then the actual work. CavWife was driving my car when she was hit totaling the car. She was not injured but I then spent the next few weeks looking for a car. That is a little distracting. Things like these suddenly happen when you are in the midst of renovations and expansion. You better keep praying as you engage in this process.